Can you store data on consumer hard drives? Obviously you can. Is the data failure rate higher on consumer hard drives? Yes, to some extent. Though there are researches opposing the statistics, a vast majority of consumer hard drives users say they do not last more than three years. That is where Enterprise hard drives come in. Enterprise hard drives provide better speed and robustness in storing data. These hard drives are built for enterprises that require durability and reliability for rapid data transfer and low failure rates. We at Memory4less.com provide hard drive solutions for enterprises that need to store this amount of data. 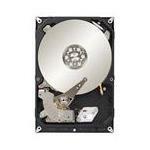 If you are interested in getting durable hard drives for your data needs, browse below to choose. If you are unsure, consult with our experts at Memory4Less.com to make the right purchase.